When you tell someone you’re vegan, most likely you’ll hear the refrain, “But how can you live without cheese?” Nowadays, the vegan cheese scene has exploded with delicious versions that replicate the wonderful umami flavor of fromage but without the dairy. 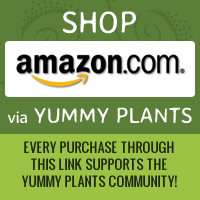 Dozens of brands are popping up in natural grocery stores, pizza shops, and online at VeganEssentials.com. (But do lookout for any casein, a milk derivative, lurking in any so-called dairy-free cheeses.) But the true test of any vegan cheese is serving a platter to a non-vegan group. These three cheese brands are party-worthy and perfect to pair with red grapes, fresh sliced apples, and a glass of red wine. Vtopian cheeses (Dark Chocolate Strawberry Brie, Peppercorn Brie, Aged White Cheddar) on the left. Avellana cheeses (Curry and Cinammon) on the right. 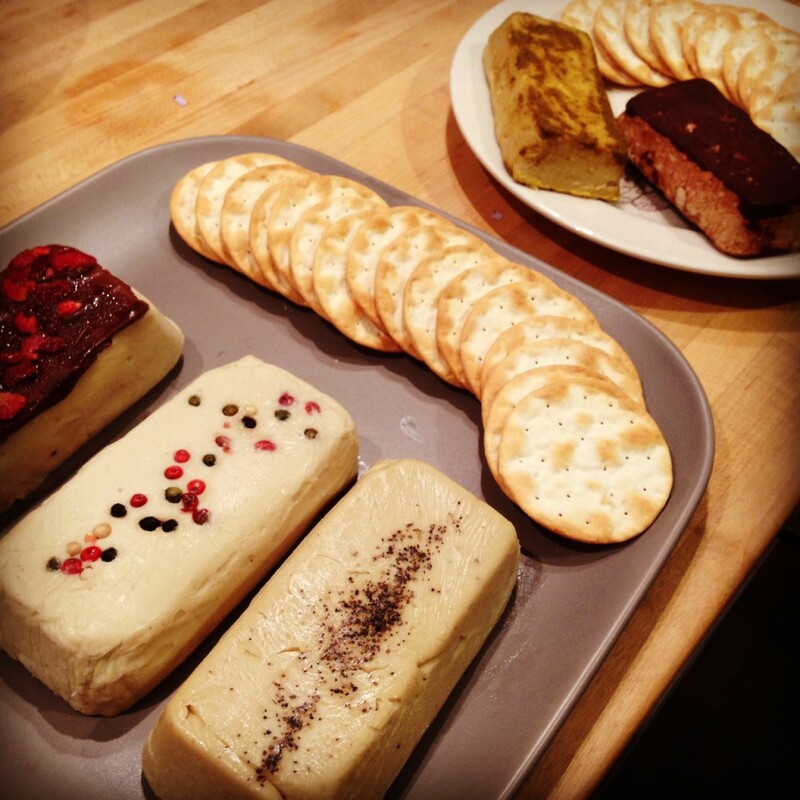 These delicious blocks are handmade in Eugene, OR, with cashews as the base for the cultured wedges. Offering 15 different types, including Aged White Cheddar, Caramelized Onion Camembert, and Mediterranean Feta, the company sells the aged non-dairy delights online and grocery stores in Oregon and California. You can buy these cheeses directly on the Vtopian Cheeses website by scrolling down and clicking on the cheeses you want, or ordering online at VeganEssentials.com. I recently tested out the Aged White Cheddar, Dark Chocolate Strawberry Brie, and Peppercorn Brie with a few non-vegans. The responses? “Awesome,” said one. “Tastes just like cheese!” was the common remark. The Aged White Cheddar was a winner amongst the group for its spot-on cheese taste. For me, I loved the Dark Chocolate Strawberry Brie. It was a gorgeous wedge, and the chocolaty flavor was divine with the soft cheese. And as a fan of black peppercorns, the subtle peppery taste in the Peppercorn Brie was wonderful. Avellana Creamery Curry (top) and Cinnamon (bottom) hazelnut-based cheeses. Based out of Oregon (should we all move to Oregon now? ), the enterprising folks behind Avellana Creamery make their cheeses using whole organic sprouted hazelnuts from Meridian Farm in Aurora, Oregon. Using traditional cheese-making methods, hazelnut milk is turned into flavorful gluten-free and soy-free wedges like Smoked Paprika, Italian Herb, and Cinnamon. 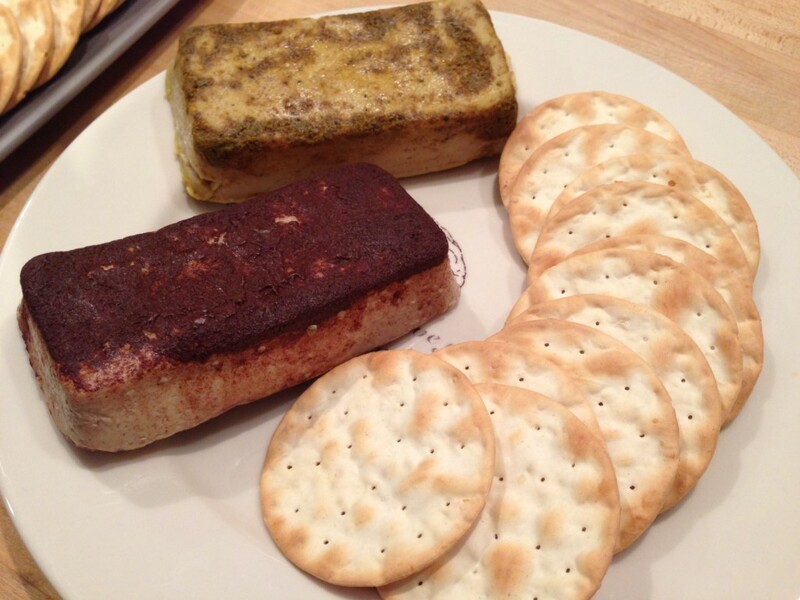 During my taste test with non-vegans, most were surprised how much they liked the Curry and Cinnamon cheeses. “I expected to be hit with overpowering curry taste, but the spice was subtle,” said one friend. I found the Cinnamon cheese to have a nice sweet taste that paired nicely with the richness of the hazelnuts. You can purchase Avellana Creamery cheeses online at VeganEssentials.com. I first fell in love with Miyoko Schinner’s cheese during a dinner party catered by the superstar chef. I inhaled her cheeses that could’ve fooled anyone who was a full blown cheese lover. So when I heard that she was opening her own cheese shop, I literally squealed with joy. Made in Fairfax, CA, these cultured cashew cheese wheels are artisan at its best. I ordered the Fresh Loire Valley in a Fig Leaf, Double Cream Sundried Tomato Garlic, and the Classic Double Cream Chive. 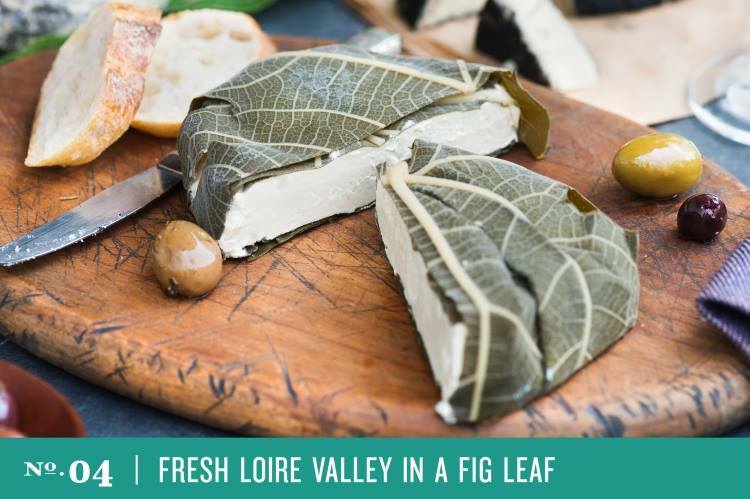 The Fresh Loire Valley featured wine-soaked fig leaves wrapped around a soft, fresh white cheese. It tasted like a goat cheese or chevre, and would be ideal for serving with wine. Per the suggestion on the box, I tossed the Double Cream Sundried Tomato Garlic with pasta, and it added a zig of creamy flavor to my dinner. The Classic Double Cream Chive was buttery with a mild garlic flavor with loads of fresh herbs. It would be delicious on crackers or spread inside a sandwich. You can buy your own at Miyoko’s Kitchen. Check out the Miyoko’s Kitchen Facebook page for deals and updates on new flavors. While these stellar vegan cheeses are ready for holiday parties and beyond, these three companies are just the tip of the iceberg of the non-dairy fromage world. Have fun exploring and taste testing! 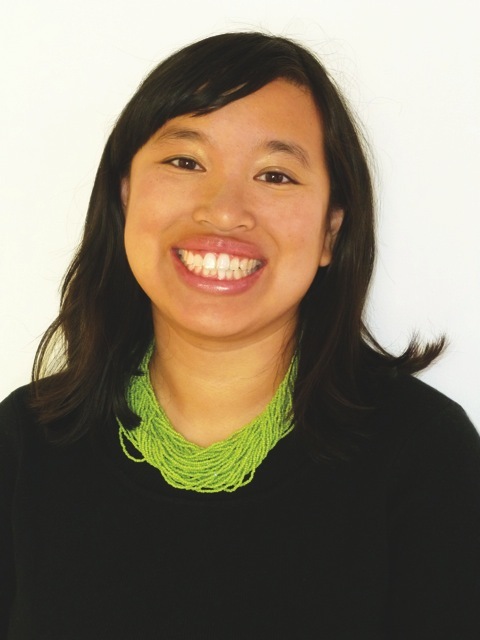 Jennifer Chen is a freelance writer, editor, and author who loved every moment taste-testing these cheeses. She lives in Los Angeles with her TV writer husband, adorable pug, and huggable yellow Lab.